Looking for a recipe for the superbowl tomorrow or perhaps a pot luck some other time? 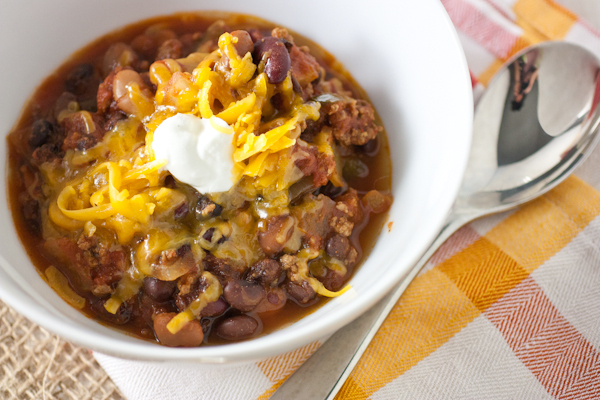 Then try this Slow Cooker Beef & 3 Bean Chili – sure to please a crowd. Don’t get me wrong, I love this recipe for a regular family meal, not to mention the leftovers freeze well for later. But next time you’re entertaining, by letting the slow cooker do the work, you’re free to take care of other odds and ends with your dinner party. 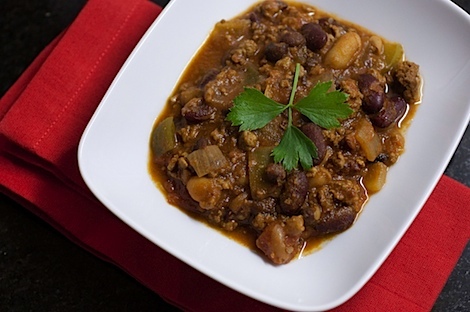 In fact, I even made this chili when we had people over for New Year’s Eve! Click here to check out the party and to see the yummy desserts I made that night. The recipe has a straightforward ingredient list. 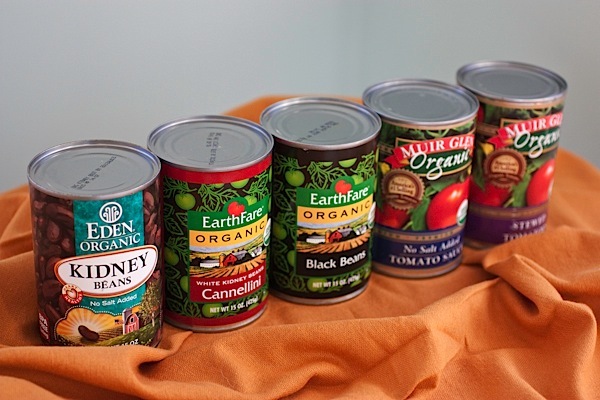 Feel free to substitute your favorite beans. …and then mixing everything together in your slow cooker. Roughly 8 hours later, you have a delicious bowl of piping hot chili. 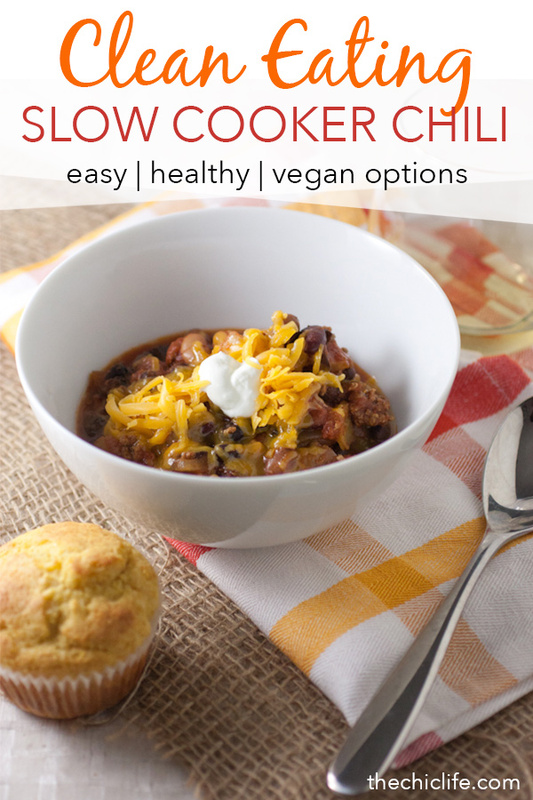 This slow cooker chili is a crowd pleasing recipe that is as easy as it is tasty. I especially like to use this recipe for entertaining because I do all the hard work on the main event early in the day and have my hands free to make corn muffins, dessert, or just take care of last minute details before my dinner guests arrive. 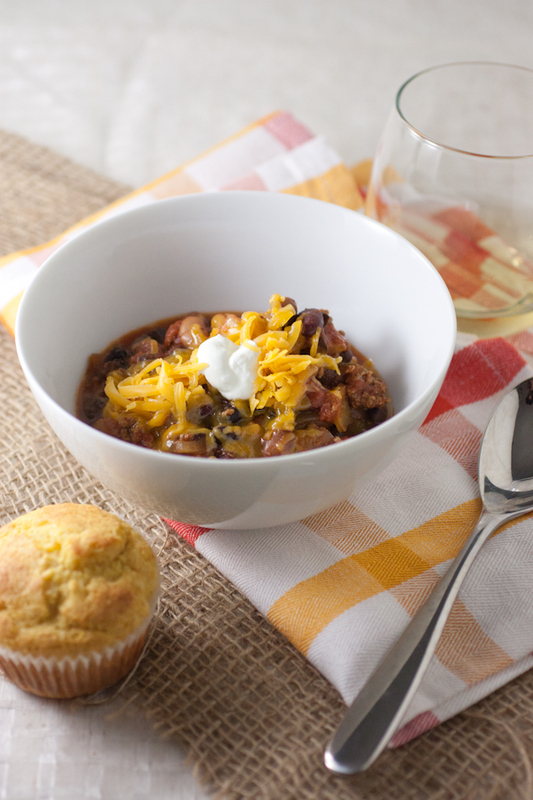 This chili would also make a great recipe for any day of the week in your standard dinner rotation. Skip the beef to make this vegan / vegetarian – I make it this way all the time, and it’s great! 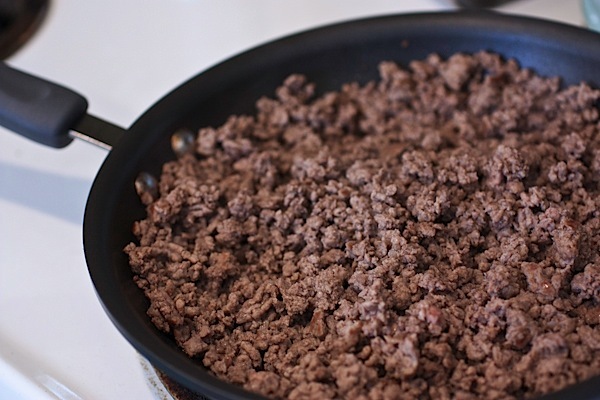 Pre-heat a pan over medium heat and brown beef. Skim/drain oil. 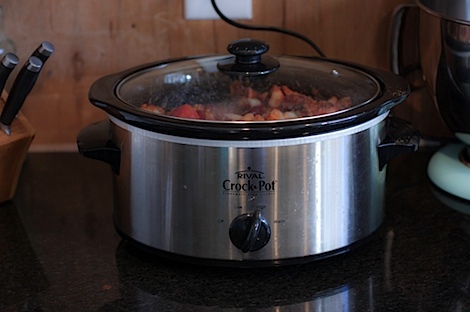 Combine all ingredients in a slow cooker and cook on Low heat for 8 hours. Note: You could probably do 4 hours on high, but I haven’t tested this out. Serve with corn bread and your preferred toppings (we like shredded cheese). Enjoy! Looking for a lighter version? 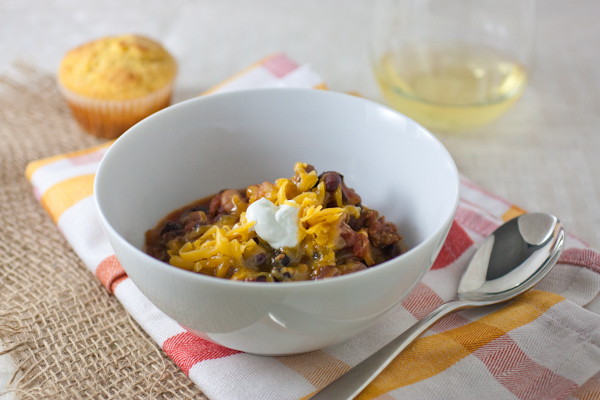 Try this Slow Cooker White Turkey or Chicken Chili (click for recipe). 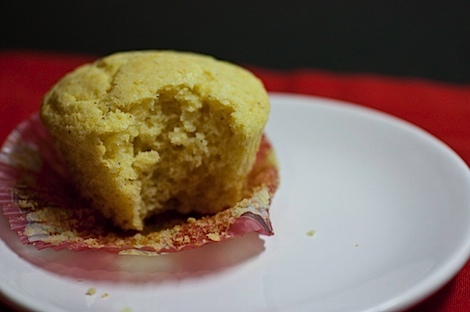 Serve chili with these easy and delicious corn muffins (click for recipe). Sounds like some good, beany, chili! I’ll make this next time we want chili. Seems like we have it every other week! 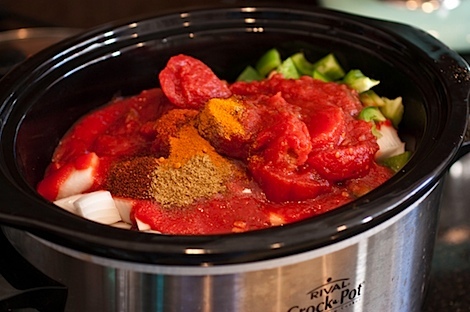 I love chili and I love my slow cooker! This looks wonderful! Thank you for the recipe! Chili is one of those meals that’s hard to mess up, but a few little tweaks here and there can really make it over the top good! Thanks for the recipe! I will definitely be making those! !